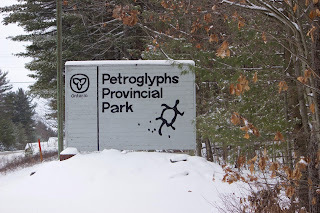 Last weekend, it was one of my friend's birthdays and as an avid hiker she suggested that we all go for a winter hike out at Petroglyphs Provincial Park. It was my very first time visiting this beautiful place. Over the last two years in Peterborough, I have been planning to make it out here, but just never got up to it. While we didn't get to see the actual Petroglyphs (apparently they are in a building now! And that building is closed for the winter) we did do about three hours of hiking through the back trails. 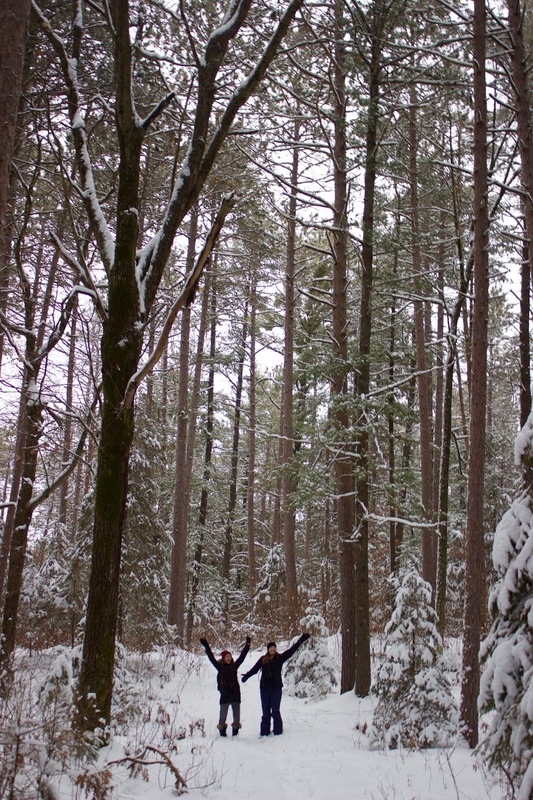 Boy, was it ever a winter wonderland. 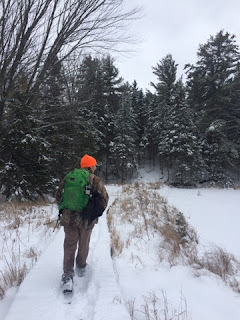 While I don't remember the names of the exact trails we hiked on, I believe we cut across the West Day Use Trail and then took the Marsh Trail. 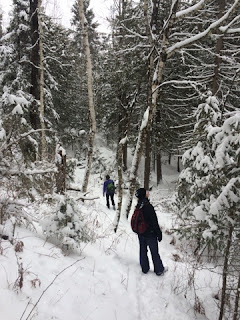 We hiked through valleys, up hills, around frozen marshlands, through tall beautiful forests, around shrubby areas, over bubbling creeks, it was beautiful. There was a really nice snowfall the night before our hike too, while made all the trees look almost magical, everyone had a dusting of snow. 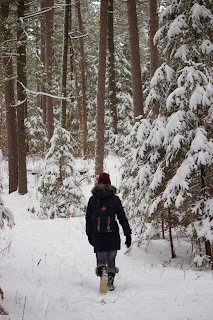 The walk was amazing and there were even quite a few birds out on the trails too! 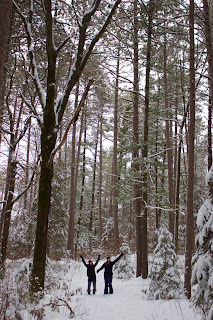 Chickadees, Dark-eyed Juncos, and Red- and White-breasted Nuthatches were everywhere we went. There were a few year firsts for me such as Brown Creeper and Common Raven. Common Redpolls were also very common flying in flocks over the tree tops, these were also the first ones I have seen this year. The most exciting bird was a lifer for me! My first lifer of 2016 is officially the Red Crossbill. 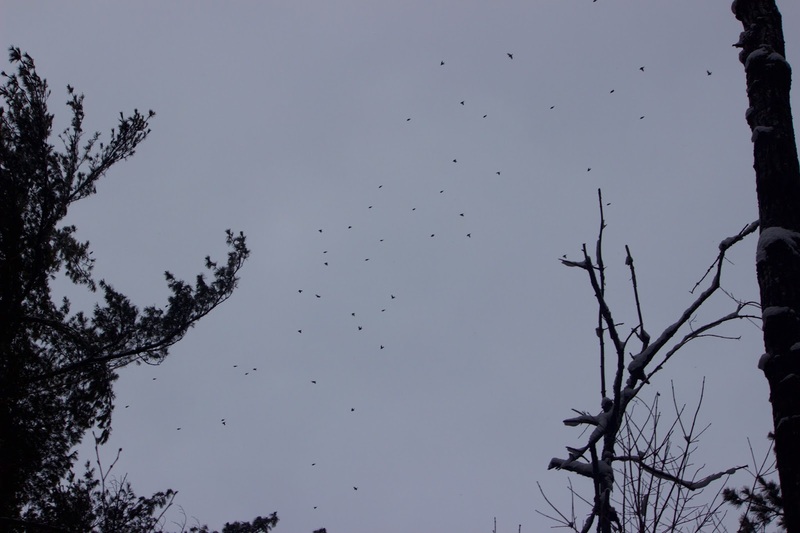 They were in fairly large flocks floating above the tree tops. I snapped a quick photo of them flying, it is likely one of my worst photos ever too! We happened to come across them when we were stopped for a quick water break. We heard bird sounds from up in the tree and assumed that it was more Redpolls. However, they sounded just a wee bit different. Since they were so high up in the pines it was really difficult to get a good look. We saw hint of yellow and thought maybe a Cedar Waxwing? But then they looked like a finch body shape....so maybe Evening Grosbeaks? We listened a bit more and took out our sound apps to see if we could match the sound. Suddenly, Crossbills came to our mind. After looking their sound up....it was a match! Then looking up photos in the field guide, these all matched as well. Finch-like beak, slender body, larger size, yellow (for females or immature males) colour, some also a orangey colour (for adult males). 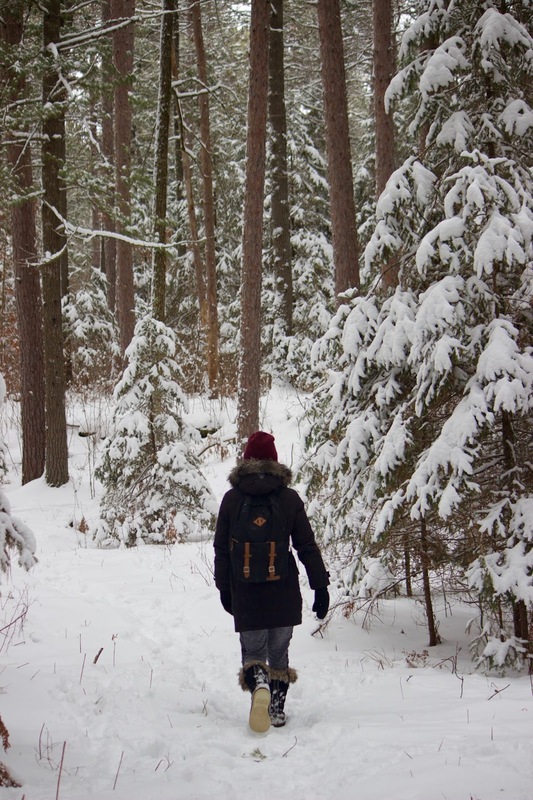 If anyone is in the Peterborough-Kawartha's region and in need of an amazing winter hike. 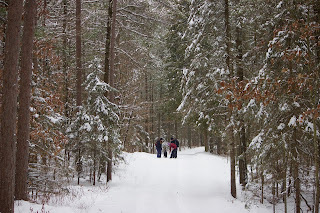 I would definitely suggest heading out for a hike at Petroglyphs! 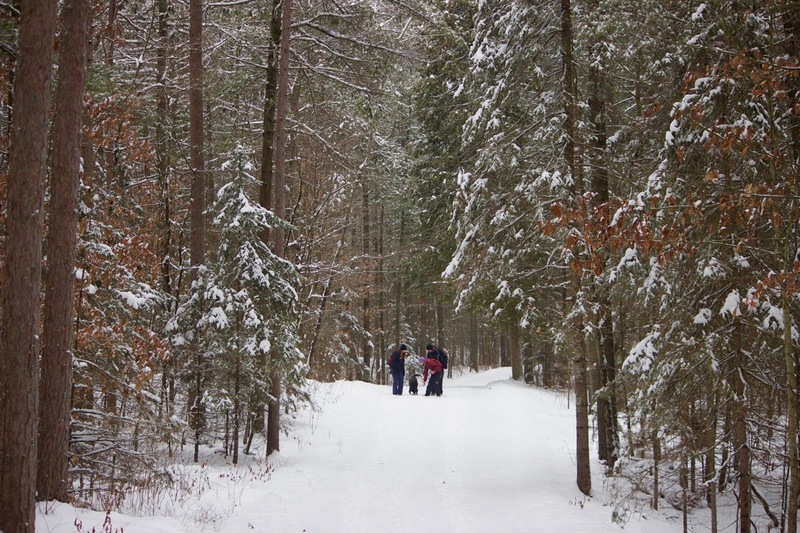 You can learn more about the park by visiting their website.